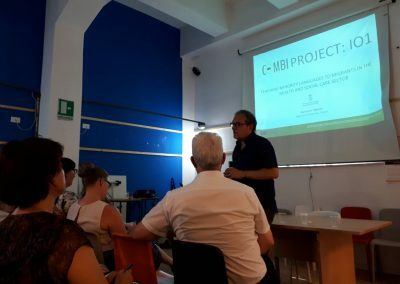 The 12th of June 2018 the second multiplier event of COMBI project took place in Palermo (Italy). International speakers, stakeholders and experts in minority language gathered attracting many participants at local level. 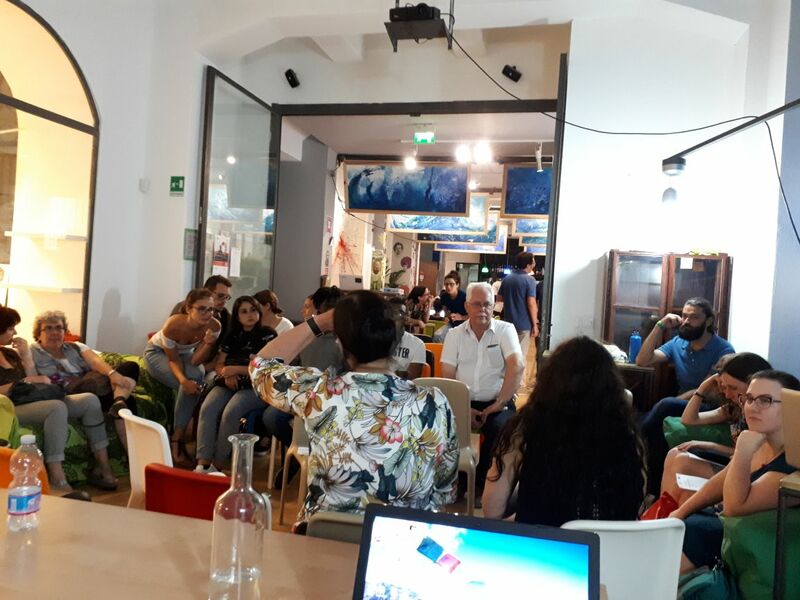 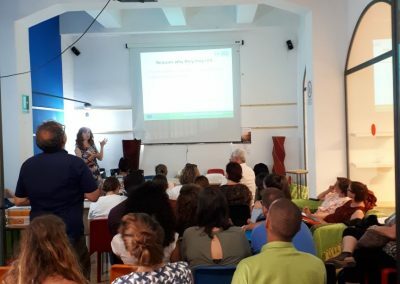 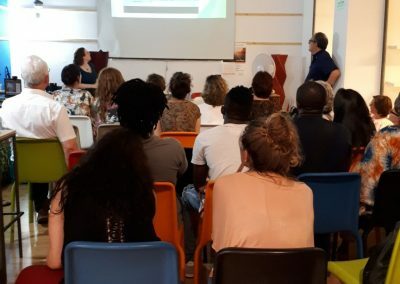 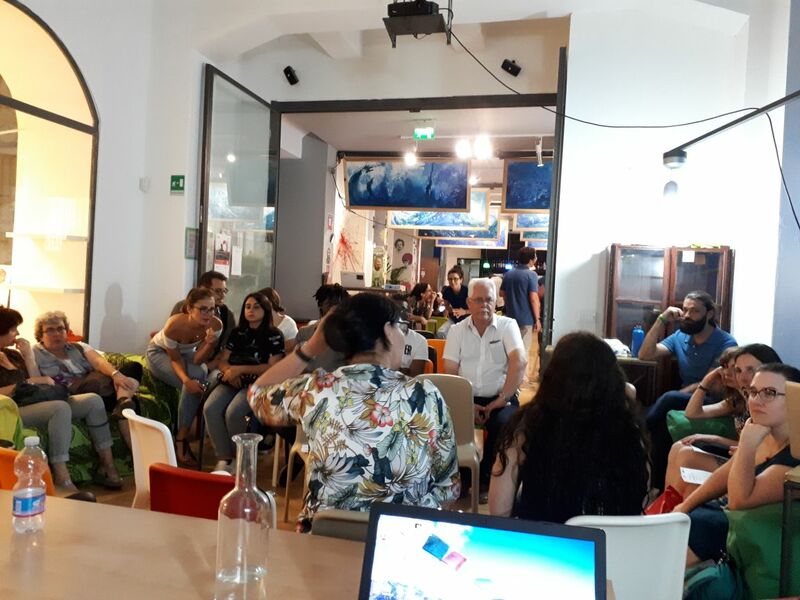 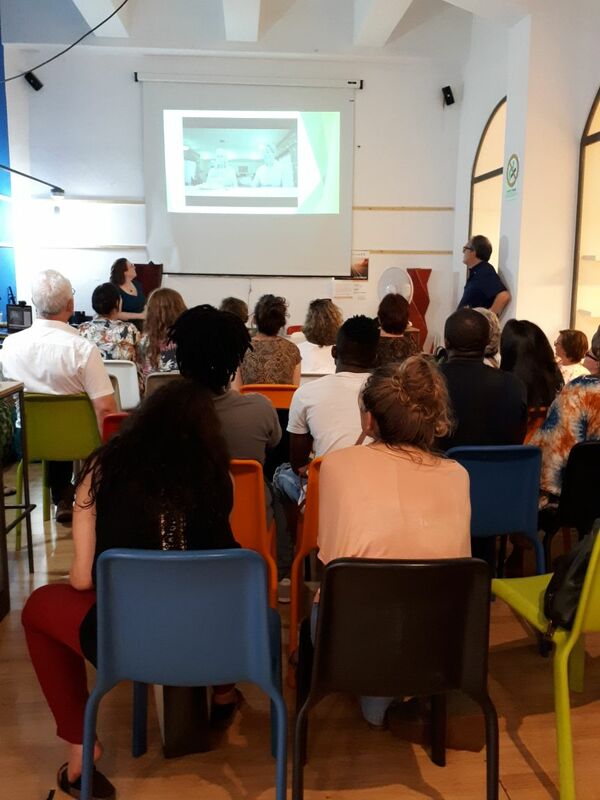 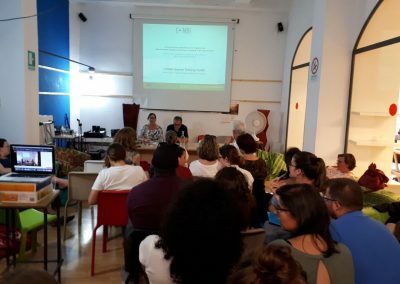 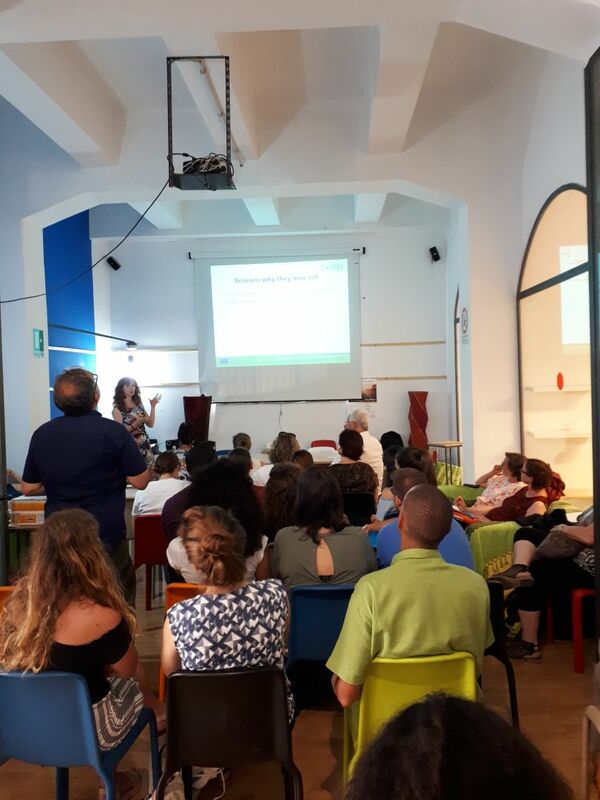 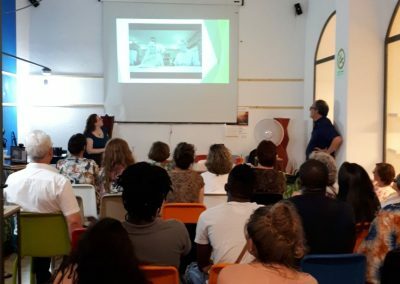 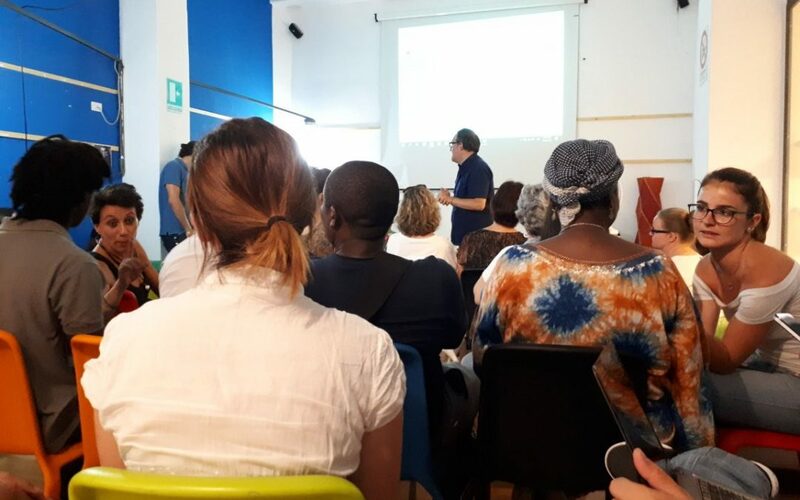 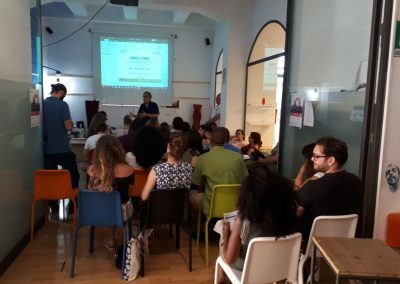 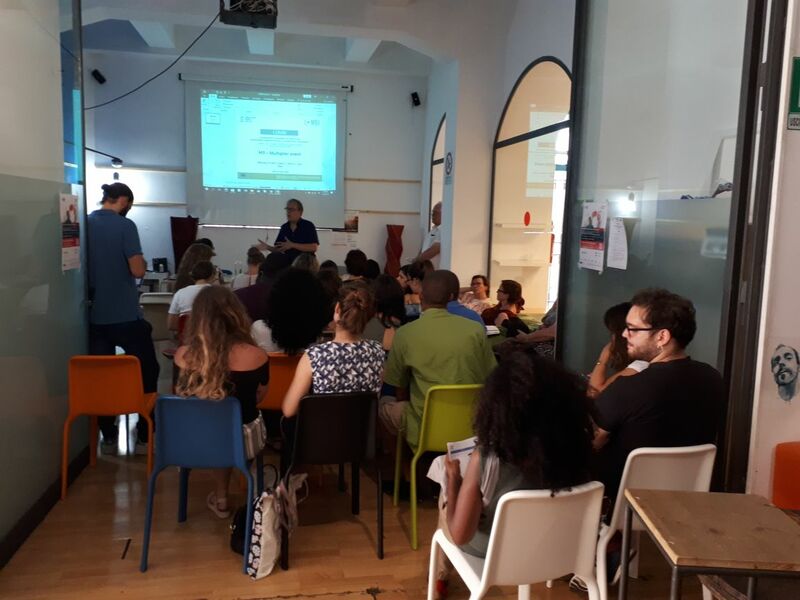 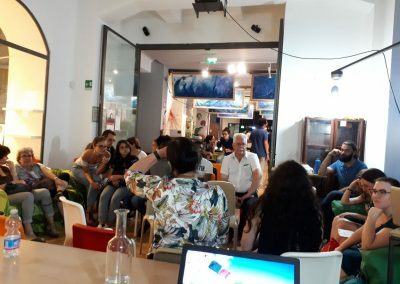 In Palermo the COMBI consortium presented the project results at Moltivolti, a co-working space and social enterprise which is focused on the integration of migrants and multicultural dialogue. At Moltivolti, participants actively discussed about minority language and health care in Europe. 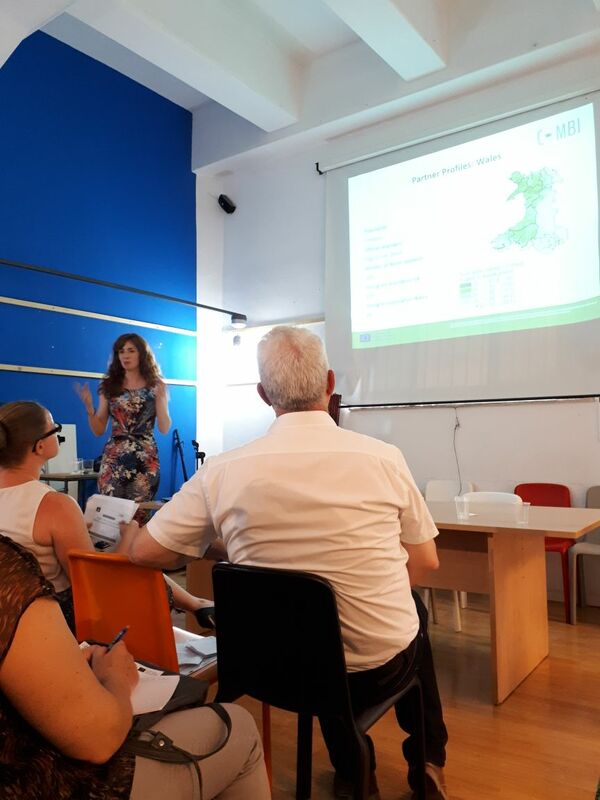 The multiplier event in Palermo was an important occasion to present the results of the project. 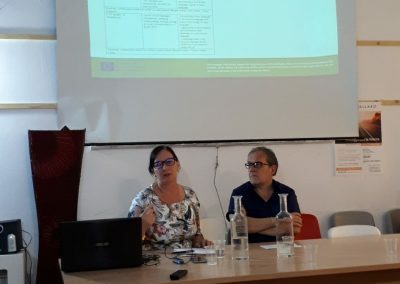 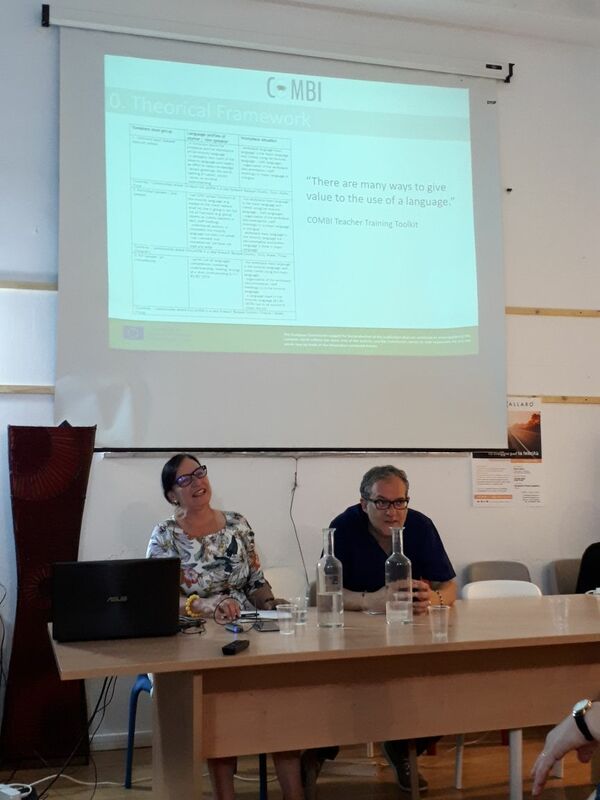 In particular, Gwennan Higham, from the COMBI team, presented the first result of the project “Needs assessment and collection of good practices”. 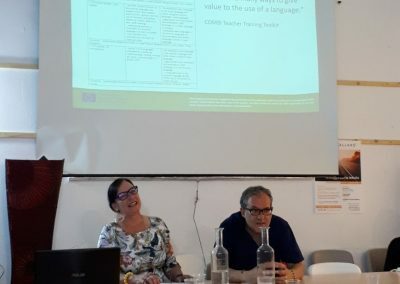 Petra Elser introduced IO2/IO3 “Teacher Training Toolkit” which is an on-line resource for language teachers who want to deal with the issue of teaching minority languages to migrants. 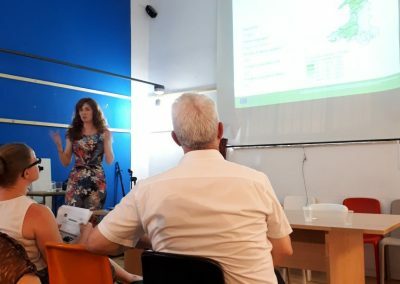 Elina Tuomikoski from Axell (Finland) introduced IO4 “Development of Modules” which was presented in details by all partners. 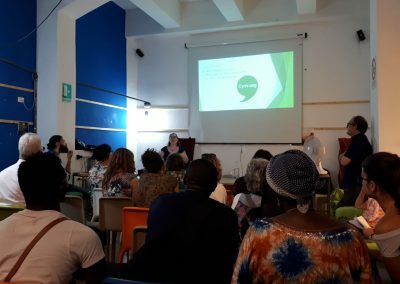 International speakers and participants had a chance to be a part of developing on-line modules for teacher training in interactive group conversations. 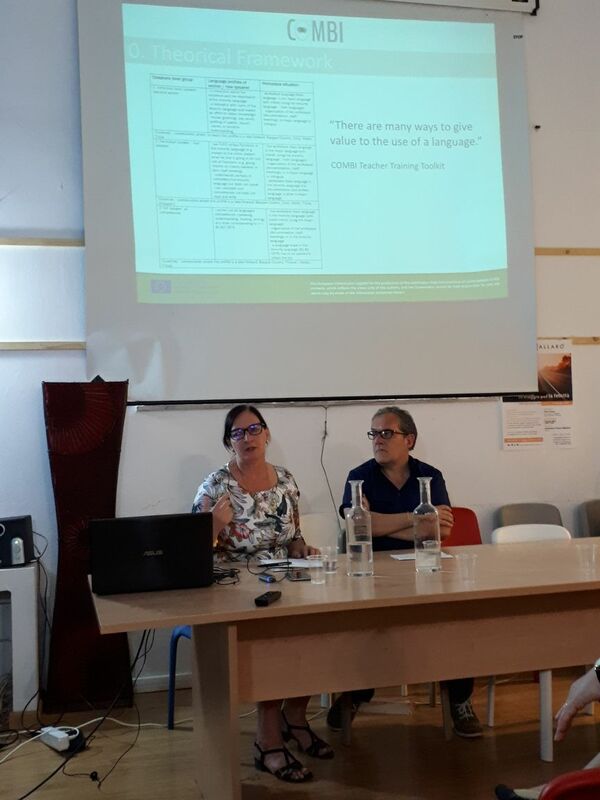 Particularly interesting the presentation of Christina Wagoner, from Cardiff University who presented her PhD research on minority languages and health care in Welsh, “Language capacity building in the health and social care sectors in Wales”. 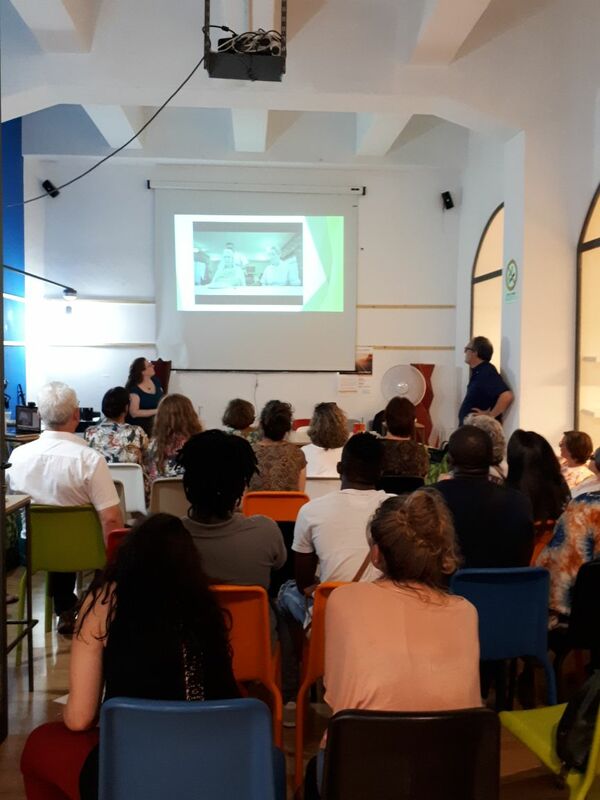 The full day was ended by an open session with participants, vocational training centres and guest speakers and a pre-dinner buffet.